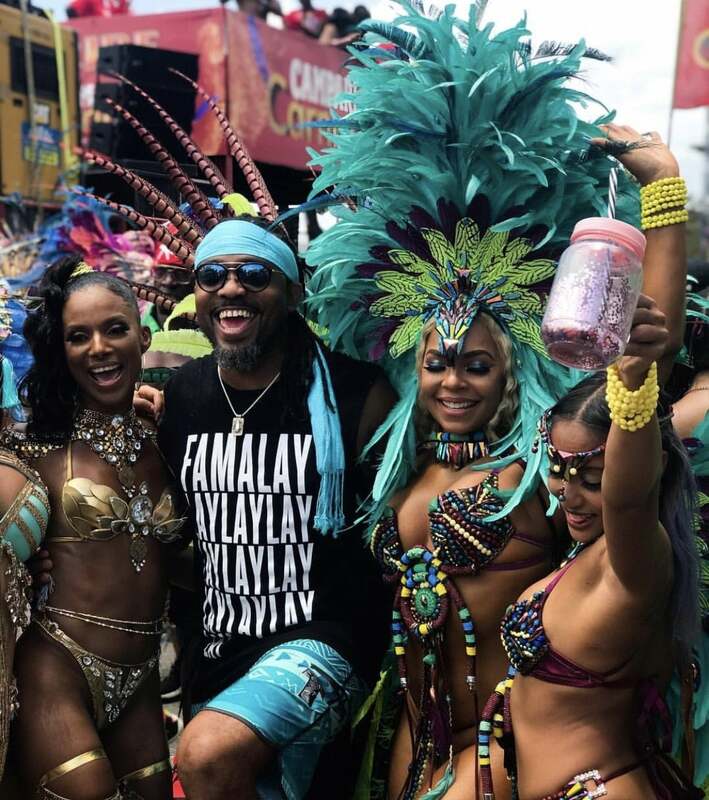 Trinidadian soca sensation Machel Montano has one goal in mind when he delivers his epic performance at St. Maarten’s 50th Carnival celebrations on Friday, May 3. “I want to create history,” Montano told The Daily Herald in an exclusive interview as he prepares for the concert. Whether one likes it or not, “Turn Me On” by Vincentian Kevin Lyttle is the most successful and influential soca song in recent times. Veteran sound engineer, historian and university lecturer Dr Cleve Scott made this point last Sunday, as he contributed to a discussion program on We FM. Soca recording artistes Machel Montano, Bunji Garlin and Shal Marshall are featured on the recently released rhythm called 'Yard Jam', along with reggae and dancehall entertainers like Beenie Man and Munga Honorable. Back in 2000, the Charlotte Caribbean Festival Association began showcasing the area’s growing island community with its annual Charlotte Caribbean Festival. Now a new organization — the Charlotte Caribbean Carnival Association — looks to bring the sights, sounds and soul of a weeklong Afro-Caribbean Carnival to Charlotte on June 22-29 during National Caribbean American Heritage Month. PARIS – Carnival workers have gone on a rampage during a fourth day of protests in the French city of Le Mans over the location designated for an annual fun fair. The workers are angry that the city relegated fairground space for the carnival to the periphery of Le Mans. Epican and Xodus have joined forces to amplify the carnival season. The first event coming out of the partnership, dubbed 'Envyous', will be hosted at Epican Lounge at the Market Place tomorrow. The mixer kick-starts Xodus' 2019 campaign as it brings revellers together for a one-of-a-kind party event. AALST, Belgium — In Aalst, a small city northwest of Brussels, the Carnival parade is the main event of the year, where everyone and everything is mercilessly mocked, and drunkenness and a lack of taste are part of the mix. With Trinidad and Tobago’s Carnival in the bag for 2019, some Carnival lovers may be already pining for next year. Good news, turns out you don’t have to wait till next year to wine down low in a fete or parade the streets in a costume. From the elaborate costumes to the nonstop fetes and celebrities living their best lives, this year’s carnival celebration in Trinidad was definitely one for the history books. Scores of persons visiting Trinidad and Tobago for Carnival 2019 received a warm welcome at the Piarco International Airport on Wednesday. The Airports Authority, Tourism Trinidad Limited, Caribbean Airlines and the National Carnival Commission joined together to stage a welcome reception for visitors. Some bandleaders have expressed surprise over the new Overall Band of the Year title. Bandleaders of The Lost Tribe, Tribe, Ronnie and Caro and K2K have all expressed surprise over the new category which was won by K2K. K2K is the winner of the Medium Band category. Despite an economic downturn in the country, Trinidad and Tobago appears not to lack for entertainment or an active night life scene as 2019 saw more than 200 fetes for the Carnival season. The Trinidad and Tobago Promoters Association (TTPA) has hailed Carnival 2019 as one of the most successful festival seasons to date. Shorter Trinidad and Tobago Carnival from 2020? The National Security Ministry in Trinidad and Tobago is looking into having earlier cutoff times for Carnival festivities to ensure the safety and security of citizens. On the heels of criticism from chutney singer Nermal "Massive" Gosein, another person is taking issue with the awarding of the 2019 Power Soca Monarch title to Grenada native Mr Killa. Mr Killa (Hollis Mapp) won the title on Friday night after performing his hit song "Run Wid It" to an enthusiastic crowd. In addition to turning up, the ladies may have also been filming their new VH1 show. Na­tion­al Se­cu­ri­ty Min­is­ter Stu­art Young yes­ter­day laud­ed the T&T Po­lice Ser­vice for their ef­forts for Car­ni­val, say­ing they achieved an ap­prox­i­mate­ly 95 per cent of­fi­cer turnout which con­tributed to this year’s safe Car­ni­val.